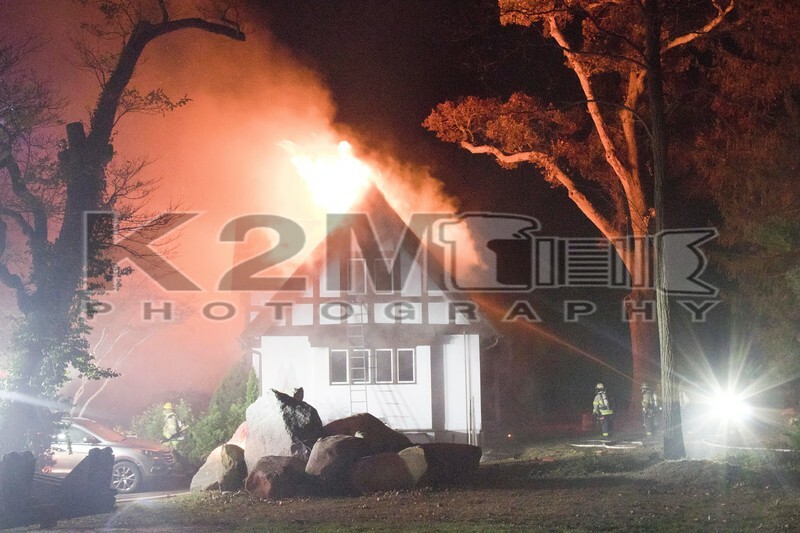 On the night of Tuesday, November 20th, 2018 the Bayville Fire Company was dispatched to a house fire on Centre Island Road in the Centre Island section of their district. When firefighters arrived on scene, they were met with heavy fire throughout a two-story private dwelling. A signal ten [working fire] was transmitted and mutual aid notified. The fire went on to reach at least a third alarm equivalency with mutual aid coming from as far as a tanker from the Nissequogue Fire Department – a department in the Suffolk County Fourth Division [Oyster Bay’s tanker was out of service at the time of the fire]. Due to the heavy fire load, strong winds, and lack of hydrants in the area the fire took several hours to bring under control. Also, on scene assisting was the Bayville Fire Company’s Fire Boat – Unit 5031. Firefighters went on to discover one occupant in the home who did not survive the fire. The cause of the fire is currently under investigation. Click here to see the rest of the images from K2M Photography’s gallery, Centre Island Road [11-20-18].